It's impossible to ignore the fact we're all going to be driving electrified vehicles in the future, and all-electric is the favorite for the long-term. However, the current impracticalities of all-electric cars and associated infrastructure inadequacies mean it's going to be a while before they are a genuine alternative to vehicles powered by internal combustion engines. And that means hybrids are going to bridge the gap between gas and all-electric in the meantime. The problem for buyers with hybrids is they generally cost a lot more than conventional versions of the same vehicle, and the savings on fuel are not great enough to make up for the difference in cost. However, that's not the case with the 2018 Lincoln MKZ Hybrid, so let's take a closer look. You might have to sit down to hear this if you don’t know about it already, but you can buy a Lincoln MKZ Hybrid for exactly the same price as the gas version. It may not offer quite as stellar fuel economy as some hybrids out there, but it's much better than the standard 2.0-liter inline-four and as it doesn’t cost a cent extra to buy, it means the Lincoln MKZ Hybrid will actually work out considerably less expensive to run. The unit in question is based on a 2.0-liter Atkinson-Cycle inline-four gas engine, which works in conjunction with a two-motor hybrid system and a lithium-ion battery to send a combined 188 horsepower to the front wheels through an electronic CVT transmission. Trim levels are another area where Lincoln breaks from hybrid convention here. Quite a few manufacturers still only offer their hybrids as single, high-specification standalone models aside from the main lineup. 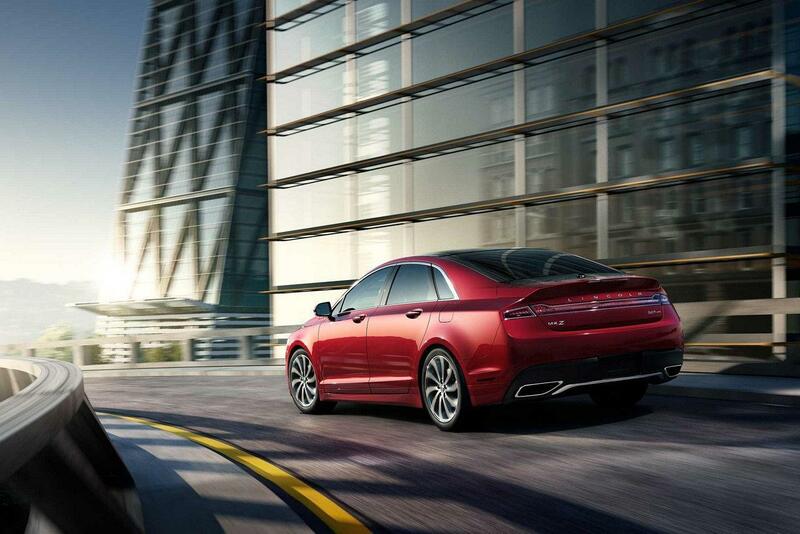 But the Lincoln MKZ Hybrid is offered in the same trim levels as the rest of the lineup. That means the entry model is the Lincoln MKZ Hybrid Premiere, and then it goes upwards to the Hybrid Select, Hybrid Reserve and the top of the range Hybrid Black Label trim. Standard equipment includes: leather-trimmed seats and steering wheel, wooden dash trim, power heated front seats, automatic climate control, an 11-speaker audio system, adaptive LED headlights and LED taillights, adaptive suspension, keyless ignition and remote start, Bluetooth connectivity and steering-wheel mounted multi-function controls. There's nothing about the exterior styling of the 2018 Lincoln MKZ Hybrid that screams hybrid. In fact, apart from any subtle badging there's nothing to give the game away at all. The exterior was impressively refreshed last year with a new front-fascia that did away with the traditional twin-wing grille, and in its place came a more traditional mesh version with the Lincoln logo in the center. The slim LED headlights wrap around slightly inwards, which adds to the somewhat sporty look delivered by the fastback shape of the rear of the Lincoln MKZ Hybrid. This is a very stylish, elegant and alluring design, which could have wider appeal than a lot of luxury rivals. To check out a 2018 Lincoln MKZ Hybrid for sale in Hawthorne, get in touch with us right here at South Bay Lincoln today for more details on this sensational and affordable luxury midsize sedan and to arrange a test drive to experience it for yourself.